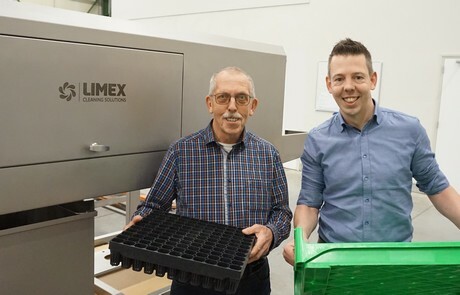 "A host of opportunities for washers and cleaning concepts in horticulture"
Joep Janssen has taken over Limex Machine Exploitatie BV from his parents. The company was founded almost 30 years ago by his father who started cleaning vegetable crates at auctions using mobile crate washing installations. This soon led to in-house engineering and production of washers and the introduction of on-site full-service concepts for customers. 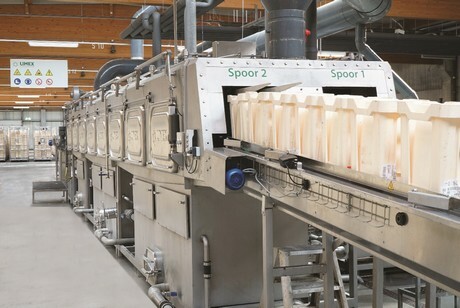 Today, Limex has evolved into a leading, international supplier of washers for crates, trays and buckets for the agri-food sector. 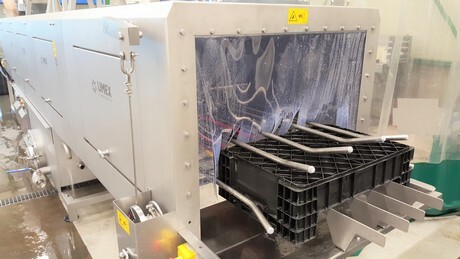 Innovations focus on reducing the consumption of resources such as water, chemicals and thermal energy, as well as alternative methods of disinfection to remove the moulds and viruses prevalent in horticulture. Other countries have also found their way to Limex. “We recently appointed a new agent in Chile. Legislation and regulations applicable to horticulture and food safety have changed there lately. This means that stricter hygiene standards are expected and the demand for our washers is increasing." The first machines have already been exported to the fruit growing sector in Chile.